Purchasing the wrong water heater for your home causes no shortage of troubles. Buying a smaller water heater leads to shortages of hot water, forcing you to deal with ice cold showers and faucets. On the other hand, owning a larger one drives up energy costs to heat more water than you need. The right water heater provides you with the right amount of water at an affordable price. The information below provides a guideline for determining the right water heater for you. First, you need to determine if you prefer a tank or tankless water heater. Traditional water heaters use tanks, and they operate through maintaining a large volume of hot water to dispense throughout the home. Water heaters with tanks typically keep water around 120 degrees Fahrenheit constantly. On the other hand, tankless water heaters only heat water as needed. This makes them more energy efficient – however, you can draw more water than it can heat, making hot water less consistent. Finally, you need to consider the types of energy available to you. Water heaters typically use either electricity, natural gas, or propane as their energy source. Not all areas of the United States give access to all energy sources, so check with your local energy provider to determine the availability of the energy source for the water heater you want. For more information about purchasing a water heater, please contact us here or call us directly at 800.937.5667. 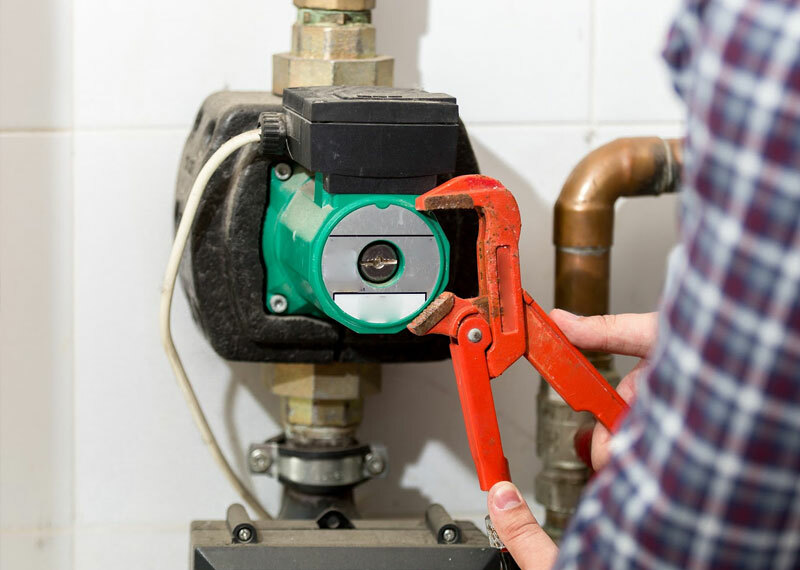 While many plumbers prefer the short-term solution of simply unclogging your drain, Rapid Plumbing & Drain Service specializes in high-pressure water jetting — the most effective way to clear blockages, grime and other sediments that build up in your drains. Drain blockages present a large problem to individuals and businesses that rely on their drains to operate properly. For example, restaurants constantly wash dishes and cooking implements, dumping food particles down the drain and causing a buildup of biological material. 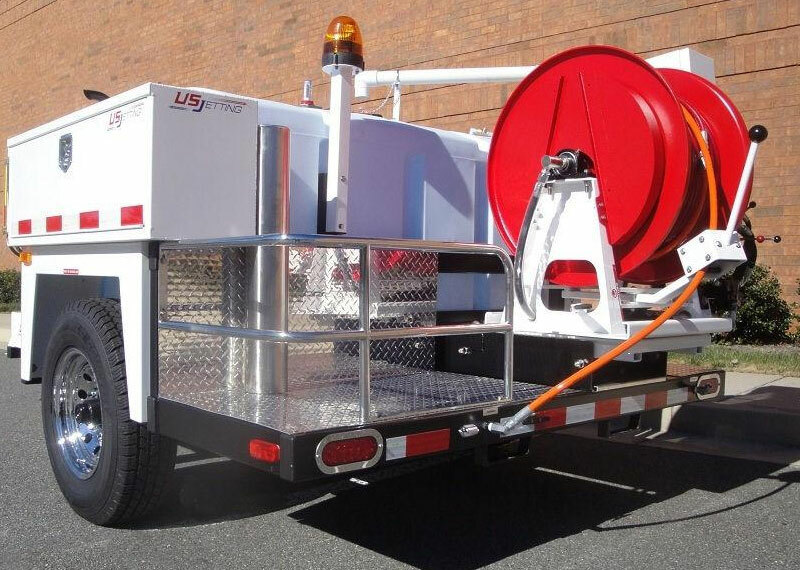 High-pressure water jetting, also known as hydro-jetting — represents a low-cost, reliable and environmentally-friendly solution for removing blockages and preventing them from reoccurring. Hydrojetting works through blasting water under high pressure into a pipe. Typical water blasters use pressures anywhere between 7000 PSI (pounds per square inch) to 60000 PSI depending on the situation. Increasing the pressure helps to knock hardened grime and other materials loose, while increasing the flow of the water helps to carry softer materials down the drain. The head of the hose uses small nozzles that increase the pressure and direct the stream of water. Forward-facing nozzles remove the blockage, while rear-facing nozzles help push the hose down the pipe and wash out loose debris. High-pressure water jetting also reuses water, making it an environmentally friendly alternative to other cleaning solutions on the market. Preventing blockages with high-pressure water jetting is just as feasible as removing them. For businesses like restaurants, having your drains cleaned on a regular basis ensures long-term build ups pose little to no problem, and prevent losing time and money due to a need to address a clogged drain. For more information on the benefits of high-pressure water jetting, please contact us here or call us at 800.937.5667.